It’s not too late to get fit at Nonantum Boxing Club! 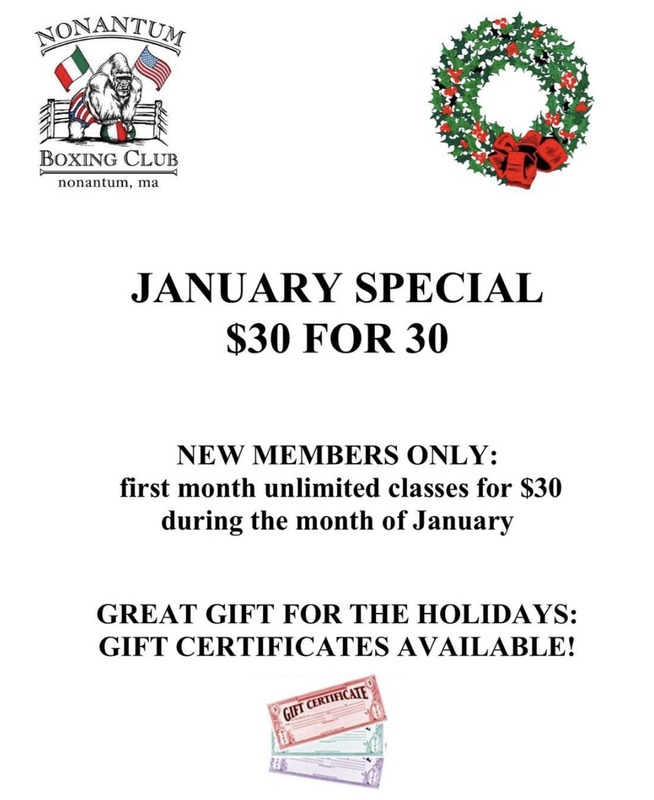 New members can join for $30 for 30 days and take unlimited classes! Category: Spotlight · Tags: Nonantum Boxing Club January Fitness Special! $30 for 30 Days!